“Design & Purpose” - Two words to describe Canali’s branding structure. Season, after season, we continue to witness fashionably attractive collections that are as functional as they are smart, and polished. With a strong emphasis on minimalism, Canali’s clothes are made for refined, and self-assured men. There’s something to be said about brands that push the idea of how design, and functionality are essential to menswear, and fashion in general. There’s an interested audience, and clearly, Canali is paying attention. 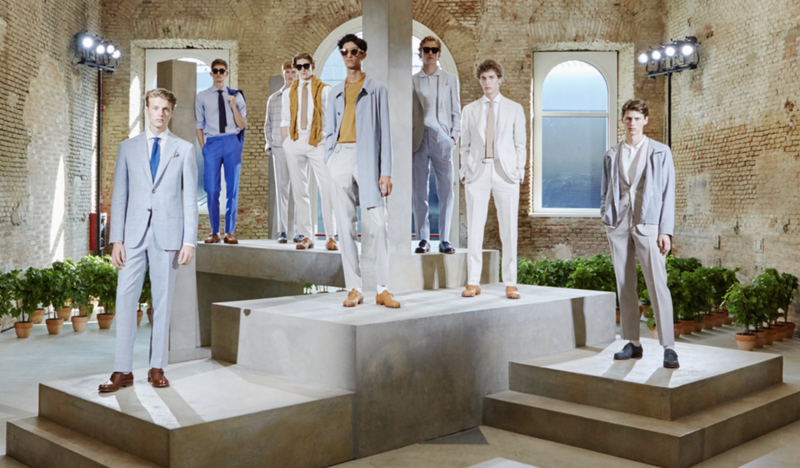 In addition to its rich color schemes, from contemporary sportswear to perfectly tailored suiting such as wrinkle-free travel clothing, the variation of fabrics used to create Canali’s delicate, and fine offerings featuring clean, and sleek cuts is quite impressive. In menswear, the successful brands are the ones that are able to integrate quality design, and purpose into their product. When I assess the material goods I choose procure, I make sure it counts for its excellent design, and for its use. When a product is striking, and unblemished - a wool silk raincoat, a jersey blazer, or a bomber jacker with technical fabric - you want to be clothed in it. It’s always a win win when good looks, and efficacy conjoin accordingly. Smart, utilitarian, charming, and desirable - all suitable, and favorable accounts of the Canali brand.